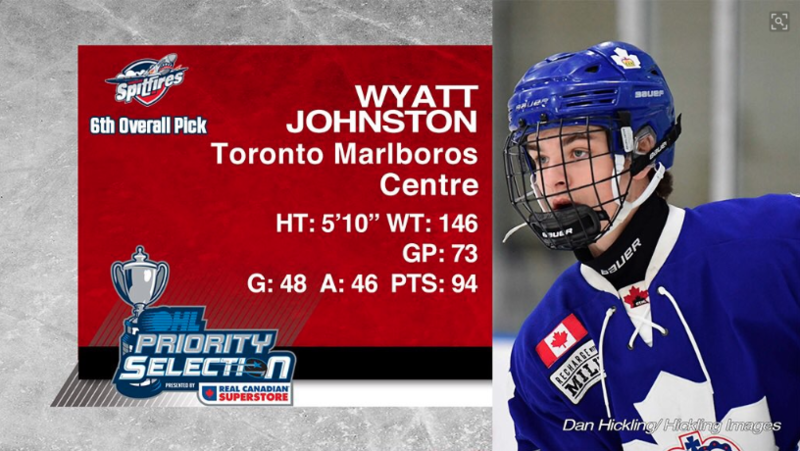 (Windsor, ON) – The Spits have chosen centre Wyatt Johnston from the Toronto Marlboros of the Greater Toronto Hockey League. 48G and 46A in 73 games played last season. Catch all the action live on our Twitter feed, @SpitsHockey and track all the results of the day at OntarioHockeyLeague.con. Round 13: C Sutter Muzzatti | 6’3, 192 |50GP: 20G, 23A | Meijer AAA U15s.